As I was peeling parsnips for dinner last night I was reminded of watching “Hugh’s War on Waste” that was on BBC TV earlier in the week. The programme highlighted the statistic that as a nation on average we throw away the equivalent of a days food per week per household. Quite a shocking statistic, and one that I am determined won’t apply in this house. 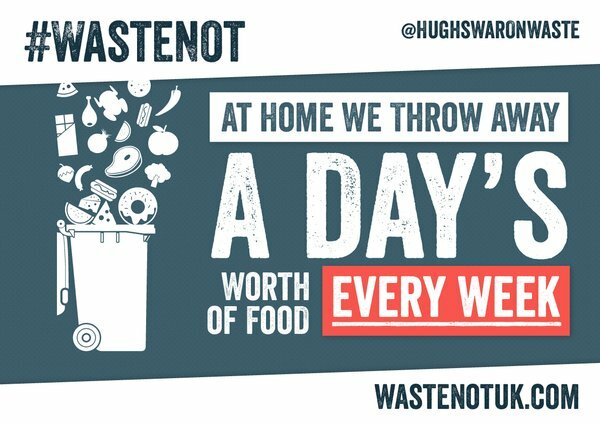 I feel that we are already pretty good in terms of making sure we don’t throw away anything that is still good to eat, but there is always room for improvement and I’ve therefore signed the pledge at http://wastenotuk.com, I encourage you to do the same. Now I mostly grow my own veg, at the moment I have a gap in my parsnip supply due to poorly timed seed sowing on my part. My first sowing have all be harvested and although I have plenty of parsnips growing, but they’re not yet ready to harvest, so I had to buy some this week. They are cosmetically very pretty – unlike the ones I normally grow, which tend to be a bit misshapen and odd looking, however they have absolutely no taste to them. My first harvest of parsnips this year from the allotment were sweet and very tasty, despite their outward appearance, the ones that I bought from the supermarket to supplement the allotment supply are not. Now I know that won’t come as a surprise to many other allotment holders or those that grow their own veg, and I’m sure that it is as much to do with the time from harvest to plate that is as important, as well as the growing conditions, than how the parsnip looks, but for heavens sake why does cosmetic appearance matter? It’s taste that counts. I’m for wonky, tasty veg. 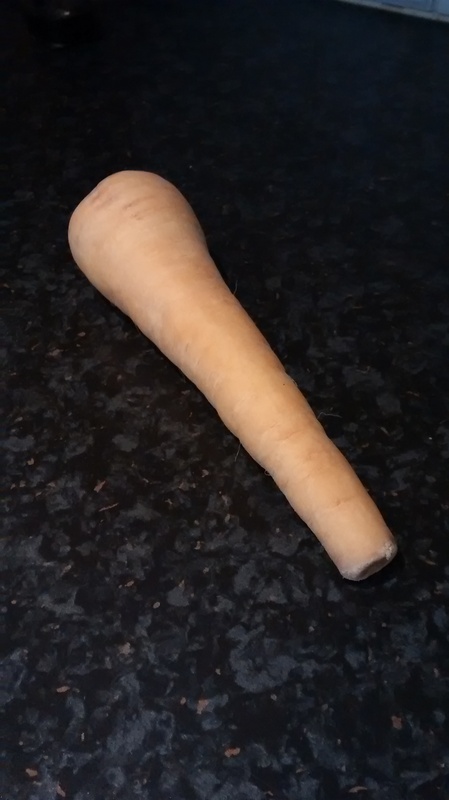 This entry was posted in Fork To Fork, Garden / Allotment, Uncategorized and tagged #wastenot, allotment, fork to fork, parsnip, parsnips. Bookmark the permalink.